Here we are! We’re in double digits with the 10th bottle of The Brux Project (You can read about the project and see the previous 9 reviews)! We’re four and half years into this with 2 more bottles left. In 2012, Sierra Nevada Brewing and Russian River released this Belgian-style ale featuring the Brettanomyces Bruxellensis yeast strain. I acquired a case of it and have been bringing out a bottle every 6 months. 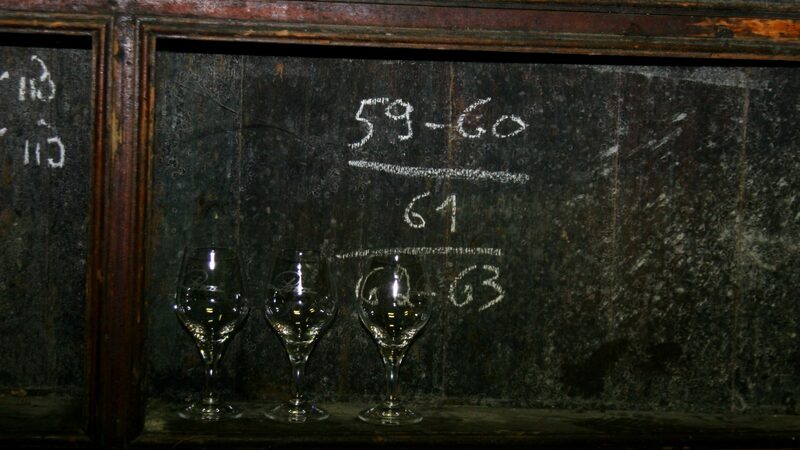 You can read about my cellar conditions in The Brux Project link above. The 10th bottle was tasted on 3/12/2017. Appearance: Lightly hazy, copper-orange, beige head, poor retention. Taste: Nutty, banana, pineapple, earthy, “dirty” brett, peppery finish, touch of alcohol. Overall Impression: There’s a lot of carbonation in the bottle, it didn’t shoot the cork out or gush, but it was creeping up the neck. Also, the head was pretty fizzy and quickly dissipated. There’s a light bit of tartness. That coupled with the increasingly intensifying CO2 leads to a zingy/crisp beer. The brett is definitely trending towards tropical fruit notes with some light earthy funky notes thrown in for good measure. Overall, the beer is drinking well. I think I preferred the last bottle better. This one didn’t feel as well-developed and felt more immature in comparison. But that’s what happens with projects like these. Each bottle is its own world. Even though it was sitting right next to Bottle No. 9, Bottle No. 10 felt not as developed. Either that or it had a slight back slide. I didn’t detect any significant oxidation. I think we still have some good life and development to go in the next couple of bottles and the last 12 months of this project.